On a typical day, I have wardrobe drama. That’s where I stand in front of the closet trying to figure out what I’m going to wear. If it’s toward the end of the work week, it also includes wracking my brain in a desperate attempt to remember what I wore earlier in the week. Back when I was younger and more self-centered than I am now, I would tell my mom that I wanted a wardrobe change when I died. I wanted an outfit for the evening calling/visitation, and then I wanted a different outfit for the funeral the next day. My reasoning was that I didn’t want to be caught dead wearing the same outfit twice. Thankfully, I’ve grown up a lot since then. 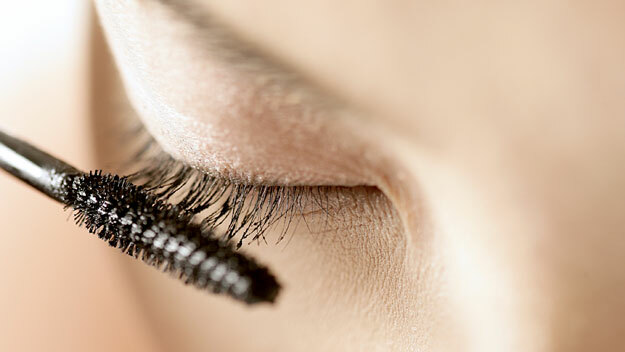 In recent weeks, the morning drama has been more focused on whether or not to wear mascara. If the mood is good, I wear it. If there’s a possibility of tears, I don’t. After Sammy passed away, I don’t think I wore mascara for at least a year; that was a no-brainer. Today is a no-mascara, Kleenex-carrying day. Steve and I are going to Cincinnati today for a “celebration” service for Lula, one of Sammy’s friends. I say Sammy’s friend because she and Sammy are hanging out in heaven together now and that is a great homecoming celebration. The tears and mourning are for her family and those who must now continue on without her physically present in their daily lives. My heart breaks for broken-hearted parents because I know the pain they feel. The emotional pain is obvious to us all, but I know the physical, mental and spiritual pain that they will experience in the coming days, weeks and months, and I’m helpless to do anything about it. Today, I will witness two parents who will show unbelievable strength and courage. It’s the same strength and courage I exhibited 3 years ago, and while they’re being strong and courageous for everyone else, I will be shedding the tears that they are trying to hold back. Today, the mascara remains in the tube while the Kleenex doesn’t stand a chance of surviving.